It’s been a while. But that time was well spent. Check out the 2012 versions of the Fury and the Enigma! This 2012 variant is 3g lighter than the original which gives it a lot more floaty goodness. Stability is not affected. This thing flies like on rails. Oh, and it’s limited. Crazy limited. 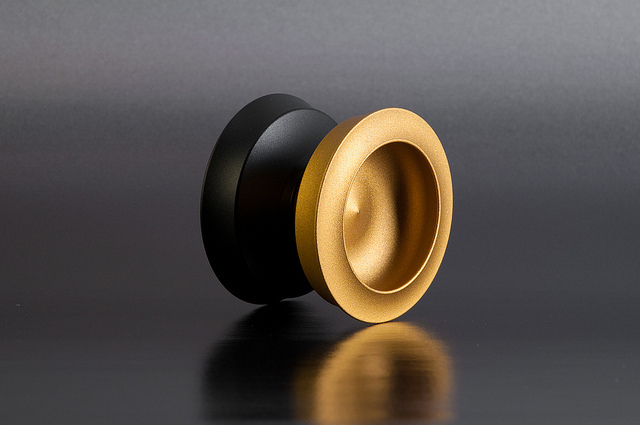 Only 15 made, exclusively for YoYoExpert. Also featuring our new IRG design, the brand new 2012 Enigma. A total of 25. Available soon at YYE, YYSR and Yo-Shop! These will come in bi-colour with a large bearing and some nifty laser art. Finally, our small bearing version of the Enigma is ready! It features refined rims and our famous CandyBlast finish! On sale now at our retailers! Okay, here’s a big one. First of all, we finally finished up Sakura, which will be produced next week! Here are some shots of the preproduction model. Everything is final about this one. Eight of these will be on sale at Yo-Shop soon. Next one is the 2011 version of the Enigma. This time, we went for a small bearing. Colours are final, coating might switch to Candy Blast, we’ll see. Release will be in early 2011, maybe already in December 2010. Yo-Shop will be getting five (preproduction). And now for the big surprise: We teamed up with the guys at High Speed YoYo to bring a special coloured prerelease of the Noctu 2010 – HSYY Special Edition! Only 15 made. Should be up there the next days. Here they are! Blue and CandyBlasted, haha! 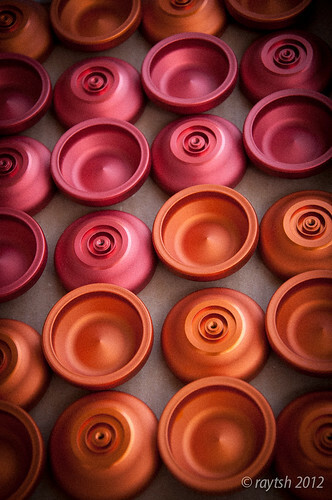 Two brand new yoyos in the making. Something we never did before!